I am a huge fan of scarves for fall, and an even bigger fan of leopard print. 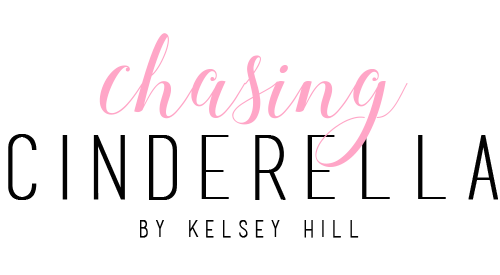 So when I came across this leopard scarf, it was instantly in my shopping bag! I usually stick to wearing neutrals during the cooler months, and like to spice up my outfits with accessories. Scarves are the perfect accessory for fall! You can throw them on over top any outfit! Now that we're on the subject of leopard print, my favorite leopard beanie is back in stock, and you better grab it up before it sells out again! It was a huge hit last season! I also want to mention that I have been wearing these booties non-stop lately, and they are currently on sale for 40% off, making them under $84! Love this neutral look. This scarf is the perfect piece! Oh yes this scarf is absolutely adorable! It reminds me of coffee for some reason, those colors are so warm and perfect. Looking amazing!! Love the scarf!! Such a pretty scarf! Love how you paired it with destroyed denim and those cute booties! Need this scarf in my life! Love how neutral you kept this outfit! I absolutely love this scarf! It goes with basically anything!! You look super chic! love your style! I love this outfit! The scarf is the perfect addition to the neutral outfit! So cute. I love the tones of the scarf and your jeans, very cute! Love this scarf, and the way your styled it! I love that scarf! It is so cozy and cute! and your boots are perfect! Loving the scarf, the leopard pattern is a bit more unique than most...so cute! It's the perfect pop of fun for a neutral outfit. 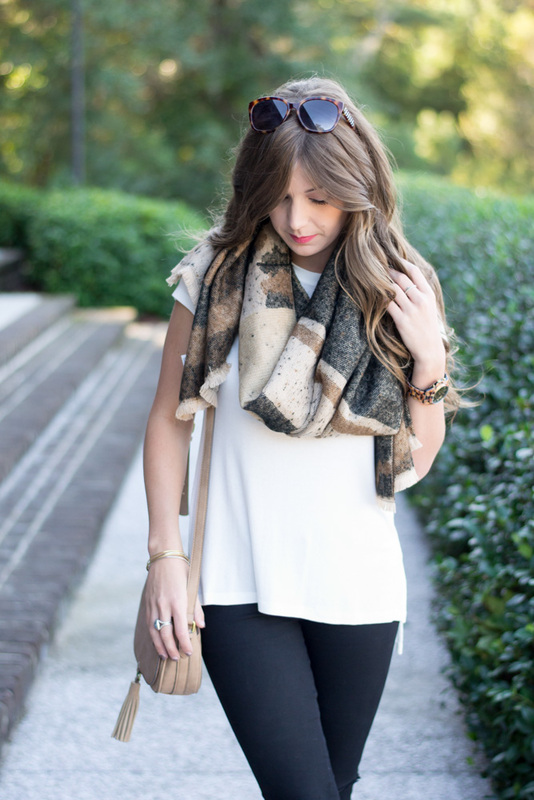 Obsessed with a good leopard scarf! So cute! Loving this scarf girl! Also, your wedge booties are gorg! That leopard print is unique, I love it! This is such a cute scarf and I love the entire look! You look so pretty! Love your dark denim too! I've been on the hunt for the perfect pair! I need to stock up on some new scarves this season and this one is adorable! Love this scarf babe! Can't believe the price! Love those jeans on you! So chic! 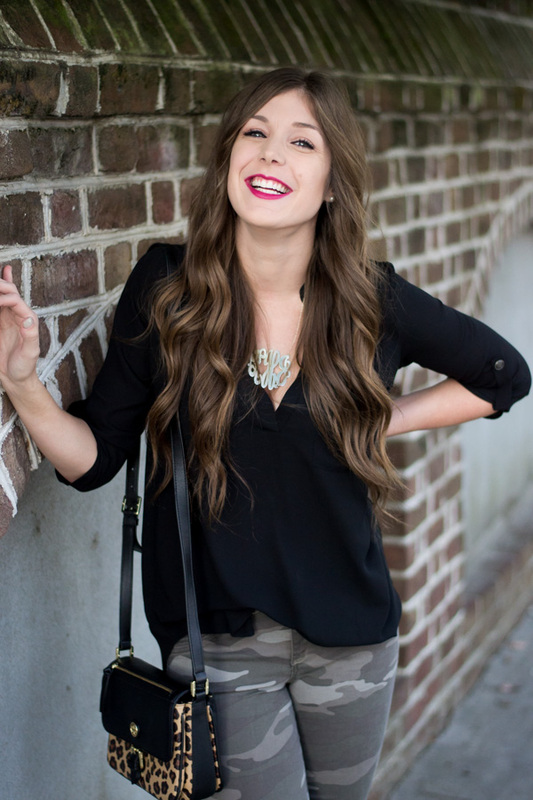 Such a cute outfit post!! I am loving that scarf and your selections! What a cute look! I am loving that scarf! I'm a HUGE fan of leopard print too! I love this laid back look! 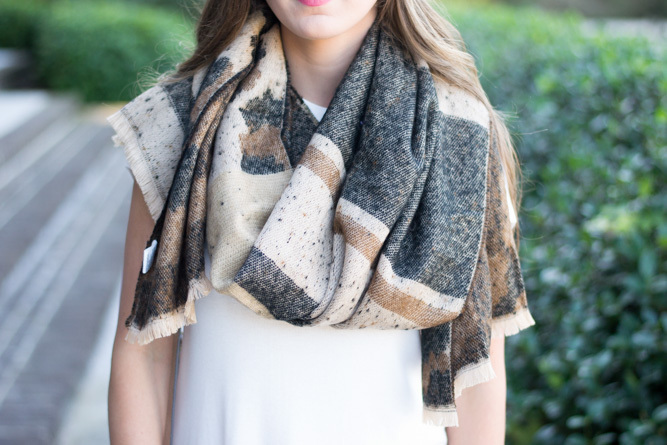 this is such a cute scarf and a great addition to a white tee! This look is so so cute! Love the scarf and booties! Great neutral look. Totally in love with that scarf! !